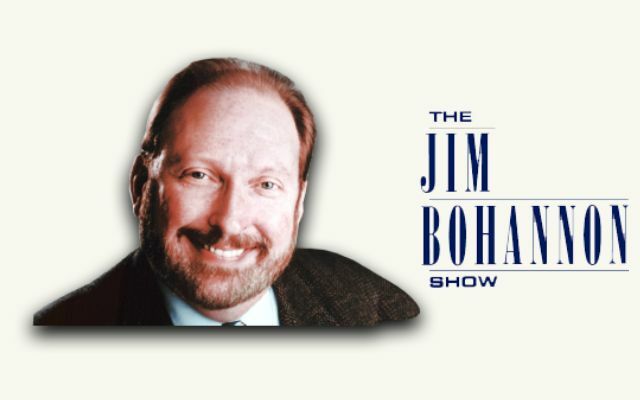 Paul HillPaul Hill (@RadioPHH) has been producing The Jim Bohannon Show since the end of January, 2004. While the JBS is Paul’s first full-scale producing gig, he’s been with Westwood One (and its predecessor in the network radio business, the Mutual Broadcasting System) on and off-but mostly on-since December, 1979. After a few years of on-air work at radio stations from South Carolina to Pennsylvania, Paul spent over twenty years in the Operations Department of the network, first as a technician, for a short time as a producer, and for the bulk of the time as a scheduling and computer specialist. He also spent time at one of the network’s traffic reporting divisions. In addition to producing Jim’s nightly talk show, Paul is Associate Producer for the morning news magazine program America in the Morning, prepares news material for Westwood One News, and every now and then fills in as producer of both AITM and Westwood One’s other morning program, First Light. Outside of the studio, Paul’s interests include baseball and game shows (especially quiz programs-none of that @#&% “reality” stuff for him!). Paul’s wife Debby works at the National Institute for Alcoholism and Alcohol Abuse, one of the National Institutes of Health. They met at college (Bucknell University in Lewisburg, PA), where being blind didn’t stop Debby from becoming one of the best Top 40 Radio disc jockeys ever heard on college radio. Paul and Debby live in Alexandria, VA.
Joe ArdingerJoe Ardinger is the Monday through Thursday night engineer for The Jim Bohannon Show. He is also the engineer for the Westwood One morning magazine show First Light with Evan Haning. Joe has a long and interesting radio history, which we will share with you once the court order is vacated. Walt HassettWalt Hassett is our regular Friday night engineer. His day job is at the Newseum, the Washington, DC area’s museum dedicated to the news media (which you should definitely visit if you visit DC). He has worked for Westwood One on and off for more years than most people would care to admit, starting, as many of us have, back in the Mutual Broadcasting System days.